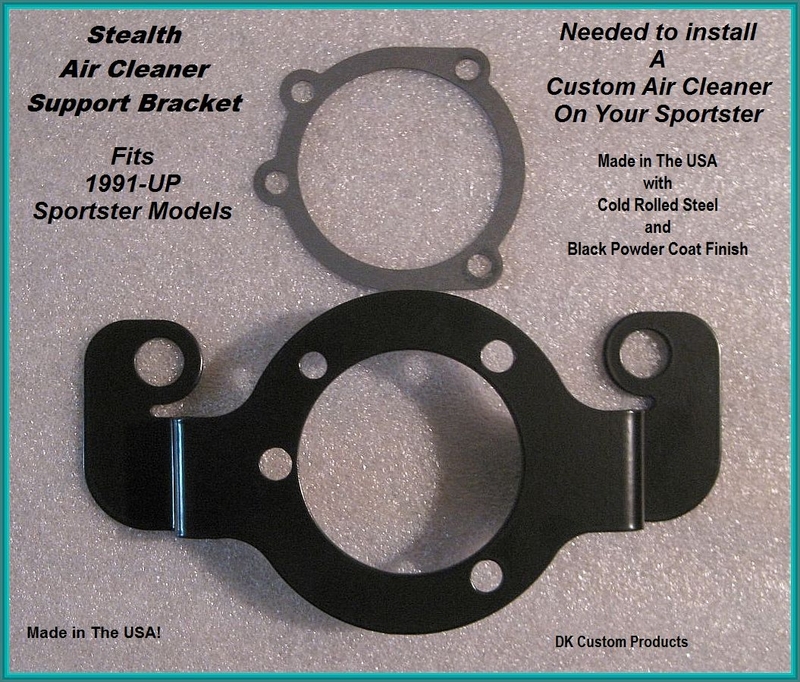 The Stealth Air Cleaner Support Bracket allows a custom air cleaner to be mounted on your Sportster. The EPA has required Harley to route dirty, oily crankcase air back into the air cleaner compromising the performance of your engine. With the Stealth Air Cleaner Support Bracket, not only can you install a custom air cleaner, you can improve the performance of your motor by venting the crankcase outside of the air cleaner.